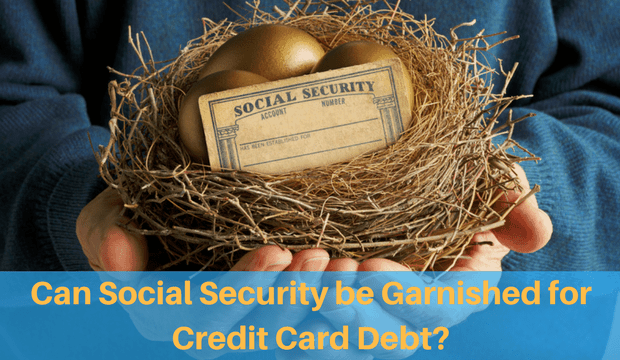 Debt.com » Credit Card Debt » Can Social Security Be Garnished for Credit Card Debt? Understand the rules that protect Social Security income benefits from garnishment. 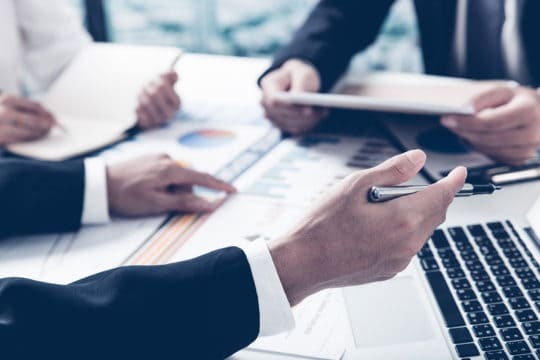 Getting behind in your credit card payments is troubling, especially with the knowledge that you can be sued by a credit card company to be repaid. If you do not show up to your court proceedings, the judge may order your wages or even your bank account to be garnished in order to pay back your credit card debt. This can leave you in even greater financial straits, as money you may need for other bills and debts is now being used to pay back that debt. But can Social Security be garnished for credit card debt? This depends on your unique financial situation. There are a few rules creditors must follow before they garnish money from your bank account, according to the Consumer Financial Protection Bureau. One of these rules specifically protects consumers who receive Social Security benefits. A creditor must receive a judgment from the courts before garnishing your bank account or asking banks to freeze your accounts. Creditors must leave at least two months’ worth of Social Security income in a bank account. These rules protect most of your Social Security income, but not all of it. If you have anything more than two months’ worth of benefits in your account, then that money could be seized. Example: You receive $500 a month in benefits, but you have $2,000 in your account. A creditor can garnish $1,000 of your account in order to pay back your debts. There is another caveat when it comes to Social Security benefits garnishment. It must be the only money that you deposit into that specific account. If you deposit any other funds into the account, banks aren’t legally responsible to know which funds can be garnished. The same rule applies if your Social Security check isn’t automatically deposited or put on a prepaid card. If you receive a paper check for Social Security and deposit it into your account, then all that money is susceptible to garnishment. Social Security income is safe from most garnishments due to debt — but it isn’t safe from the federal government. Your Social Security check can be garnished if you owe money for back taxes, federal mortgages or student loans, and alimony or child support. In those cases, 15 percent or more of your Social Security income can be garnished depending on your state laws. This rule is found in Section 207 of the Social Security Act. Even if you can’t have your Social Security wages garnished to pay back your credit card debt, it’s still stressful to have that judgment of debt hanging over you impacting your credit rating. If possible, contact the creditor before it obtains a judgment against you and set up a payment plan you can afford. There are plenty of options to help pay down your credit card debt. Let Debt.com match you with the right solution for your needs! Article last modified on April 4, 2019. Published by Debt.com, LLC . Mobile users may also access the AMP Version: Can Social Security Be Garnished for Credit Card Debt? - AMP.